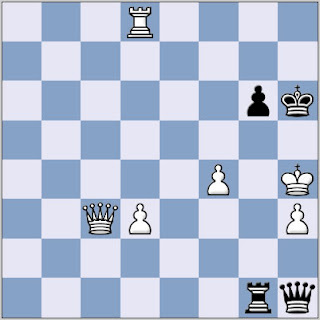 From this position, how does Black, 2 pawns down and threatened with mate, turn the tables? Answers to roger AT 21thoughts DOT com. I'll publish the solution on Wednesday.